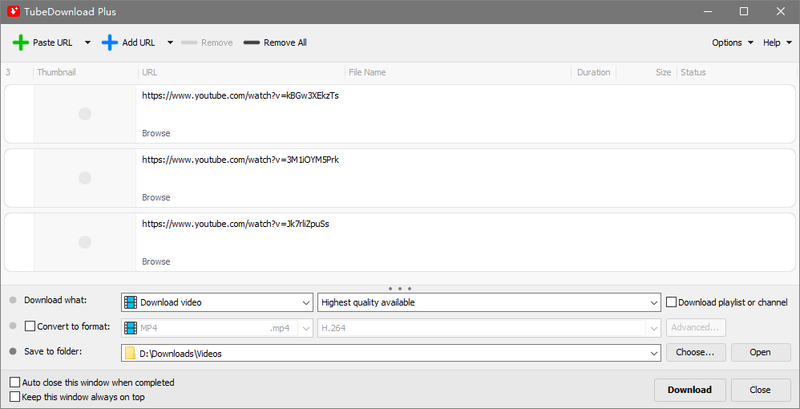 Paste or add video URLs to the download list. 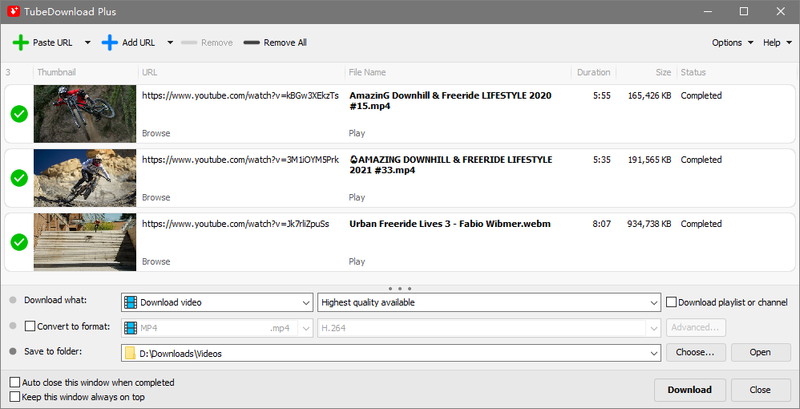 You can also drag and drop video link from your browser to the program window or drop box. All completed. You can click "Play" button to play downloaded video/audio file.